Ask a 10-year-old boy what he wants for his birthday, and you're likely to get an answer like: games, toys, a new bike, or maybe just straight cash. Joseph Gonzalez-Salas's wish list for his 11th birthday was a little different. After nearly three years of living with dilated cardiomyopathy, a condition that negatively affects the way the heart pumps blood, all Joseph wanted was a new heart. After arriving in Rochester in January 2014, Joseph and his family met with Mayo Clinic pediatric cardiologist Jonathan Johnson, M.D., who confirmed Joseph's diagnosis and began talking to the family about the logistics of qualifying for a heart transplant. "The transplant (process) for foreign nationals is a little tricky," Dr. Johnson tells KIMT-TV. "But we thought it would be one that we could do." Joseph and his family returned to Panama and began doing everything they could to raise money for the procedure. "His dad and mom went home and a couple of months later they called me and said, 'We raised the money,'" says Dr. Johnson. "It was unbelievable." After more than a year of waiting, all of that work paid off in grand, life-saving fashion. Joseph and his family received word that a new heart had been found and that his transplant surgery would be scheduled for July 3, 2015: Joseph's 11th birthday. 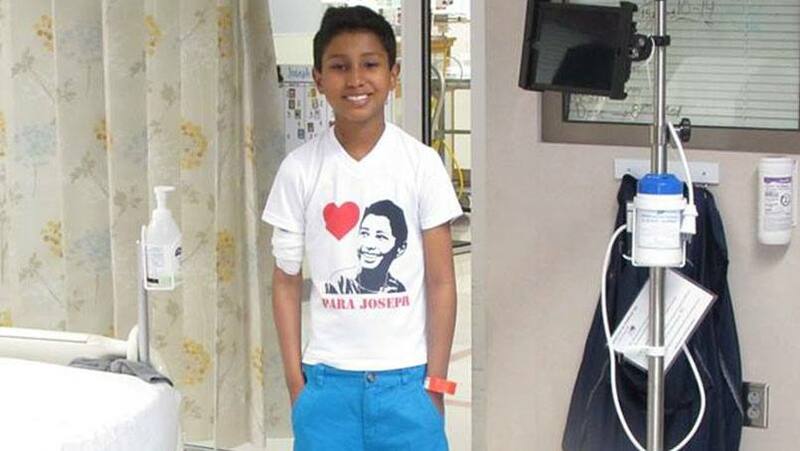 "It was an immense gift," Joseph's mother, Michelle Salas, tells the Rochester Post-Bulletin. "There are no words to explain it." There was more celebrating earlier this month when, following a year-long monitoring period, Joseph and his family were able to return home to Panama. But not without a proper send-off from his care team. The Post-Bulletin reports that the send-off included a surprise birthday party (complete with cake) after his last appointment at the Mayo Clinic Transplant Center. "I'm really thankful for everything, but it's going to feel good to be home," Joseph tells the P-B. "I've been here a long time." Long enough, it seems, for his care team to have grown attached to Joseph and his family. "Speaking for our surgeons, cardiologists, nurses and the whole care team, it has been an honor to care for Joseph and his family over the last two years," Dr. Johnson told the TODAY Show. "Joseph, his brother and his parents have all become part of our Mayo family." You can become part of our family by sharing your comments below. Then, you can share this story with others using the handy social media tools atop this page.